Farm to Senior. This round of our Senior Series is officially halfway done! 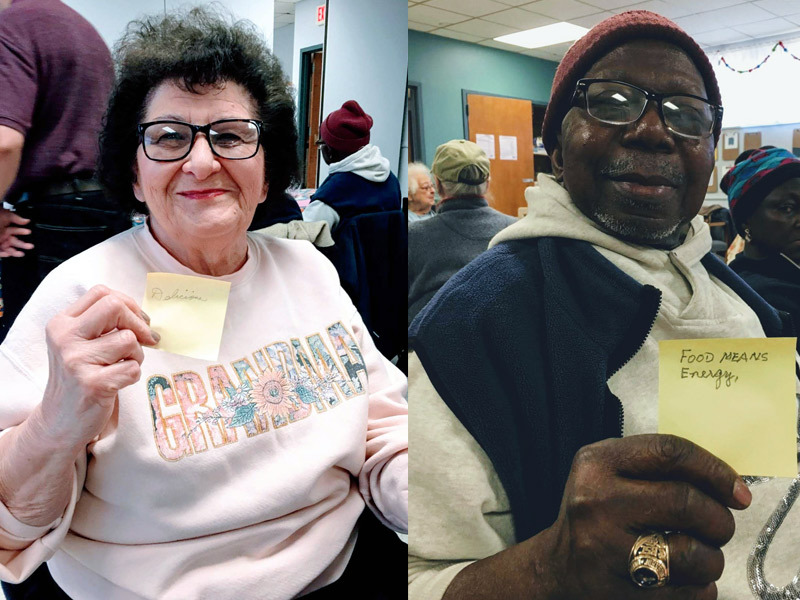 Participating seniors have accomplished a lot already — planting seedlings, learning about how to shop at local farmers markets, and exploring their relationships with food. This week we asked, “What does food mean to you?” Two of our participants are pictured above with their answers. At Fishing Cove Elementary in North Kingstown, we brought our smoothie bike (a bike that blends smoothies when you pedal!). 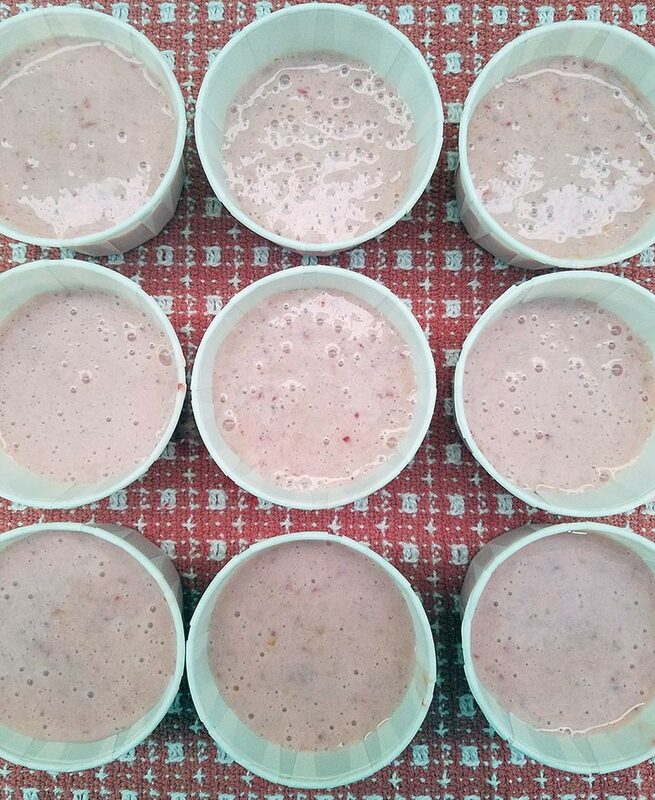 We had 205 students try our fruit smoothie, featuring yogurt from Narragansett Creamery, milk from Wright’s Dairy Farm, and honey from Full Bloom Apiaries. The school’s superintendent, assistant superintendent, and teachers even came out to ride the bike! 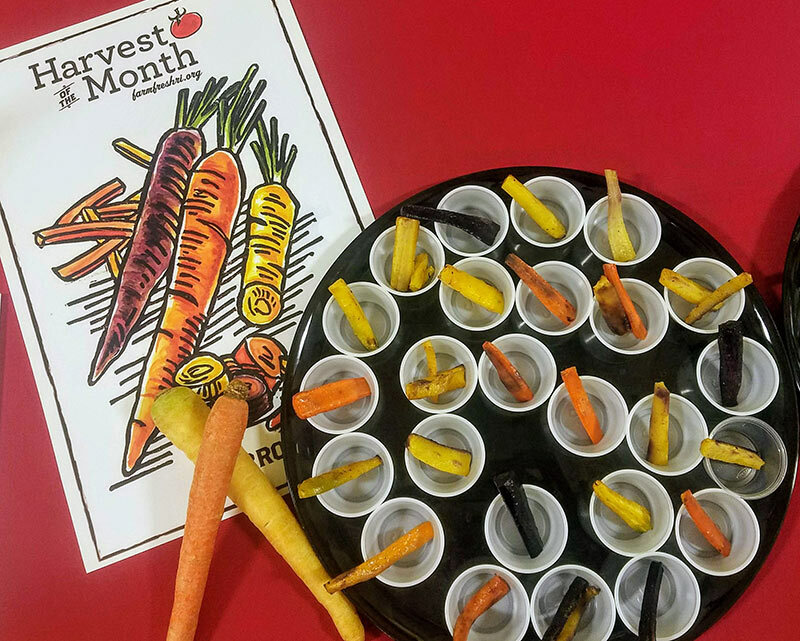 At Narragansett Elementary and Richmond Elementary School, students tried roasted carrot fries. We had a total of 592 students try them! They were made with Four Town Farm rainbow carrots so students enjoyed trying purple, yellow, or orange fries. Some of the feedback included “It tastes like purple!” and “They taste just like fries.” “These are SO good!” The kids had a great time guessing the other colors carrots come in, and many wanted to “try all the colors.” Many parents and family members helped with these lunches, making it extra special.